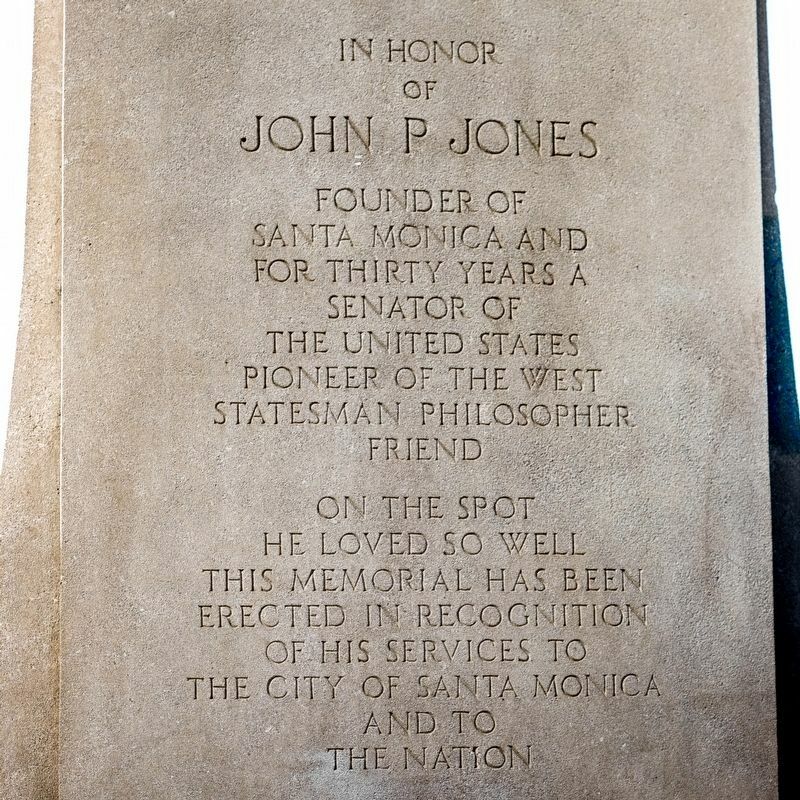 In honor of John P. Jones, founder of Santa Monica and for thirty years a Senator of the United States, pioneer of the West, statesman, philosopher, friend. 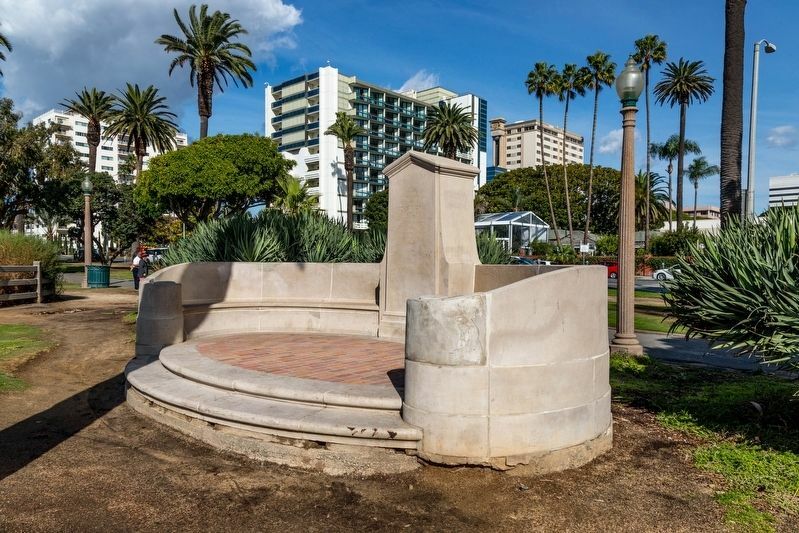 On the spot he loved so well this memorial has been erected in recognition of his services to the City of Santa Monica and to the nation. 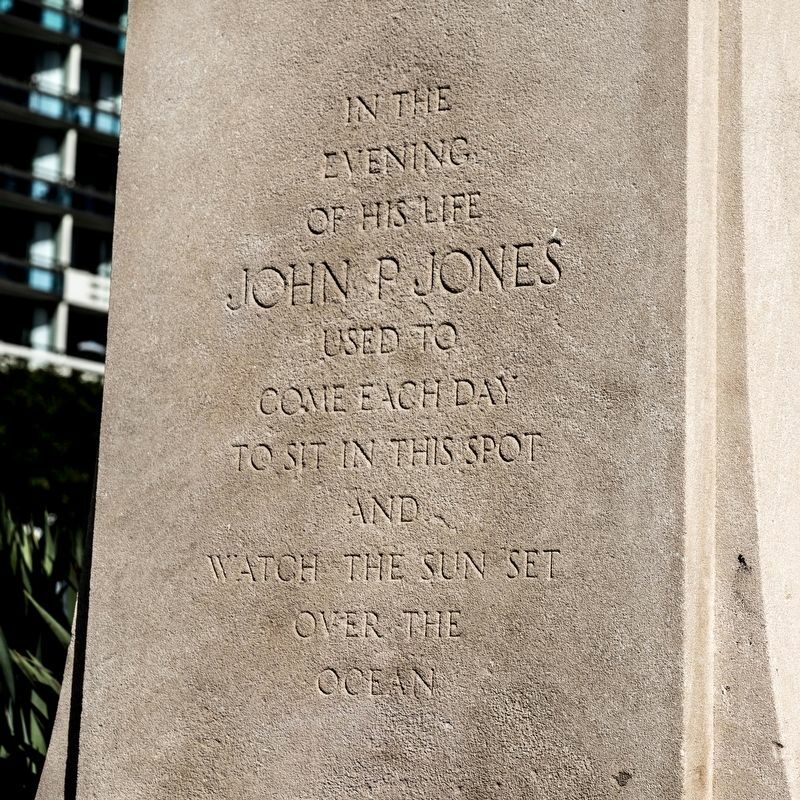 In the evening of his life John P. Jones used to come each day to sit in this spot and watch the sun set over the ocean. Location. 34° 1.015′ N, 118° 30.106′ W. Marker is in Santa Monica, California, in Los Angeles County. Marker is on Ocean Avenue just north of Wilshire Boulevard, on the right when traveling south. Touch for map. It is in Palisades Park. Marker is in this post office area: Santa Monica CA 90401, United States of America. Touch for directions. (approx. 0.6 miles away); Santa Monica Pier (approx. 0.6 miles away); Olympiad Rose Bush (approx. 0.6 miles away); World’s First Flying Automobile (approx. 0.6 miles away). Touch for a list and map of all markers in Santa Monica. Regarding John P. Jones Monument. 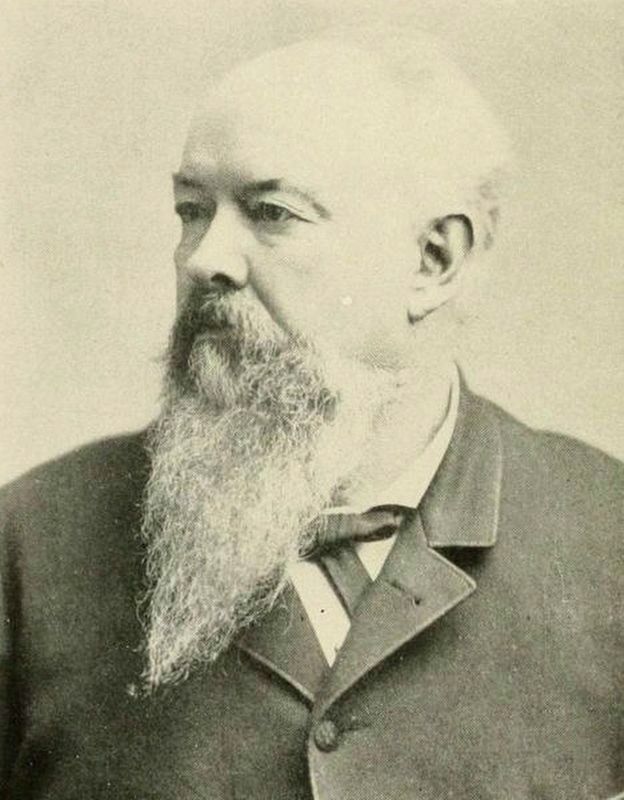 John Percival Jones (1829–1912) was a politician who served for 30 years as a United States Senator from Nevada. He made a fortune in silver mining and was a co-founder of the town of Santa Monica, California. The beach is more than 100 feet below the overlook. Santa Monica pier is on the left and Malibu and the Santa Monica Mountains are on the right. More. 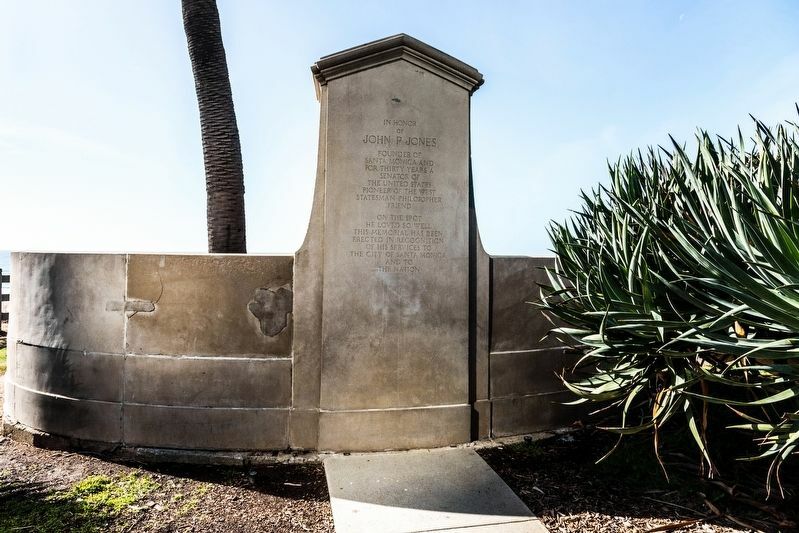 Search the internet for John P. Jones Monument. Credits. This page was last revised on March 1, 2019. This page originally submitted on March 1, 2019, by J. J. Prats of Powell, Ohio. This page has been viewed 57 times since then. Photos: 1, 2, 3, 4, 5, 6. submitted on March 1, 2019, by J. J. Prats of Powell, Ohio.